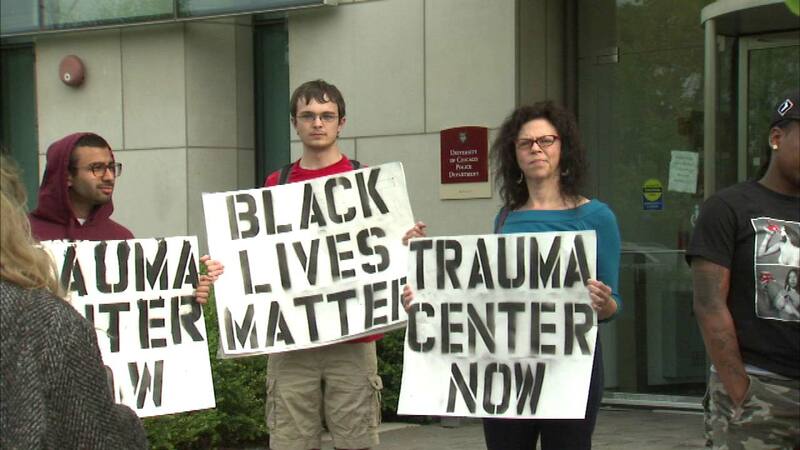 CHICAGO (WLS) -- Protestors plan to return to the University of Chicago's Medical Center after a sit-in that resulted in arrests Wednesday. The protestors are demanding a trauma center be built for adults. A smaller group formed in front of the hospital Thursday in Hyde Park. This comes after nine people were arrested during Wednesday night's sit-in. Firefighters had to break windows to get the protestors out after they locked themselves in a vestibule. The protestors call the South Side of Chicago a trauma desert, saying patients have to be taken more than 10 miles away for treatment.